Stoic, brooding, beautiful, and gifted. These have been many words used to describe the Academy Award nominated actress Rooney Mara. The uniquely named star has gradually become one of the best performers of our generation. Her craft has provided us with some impossibly great films that she has been the heart and soul of. Hailing from New York, Mara had soared through independent cinema and is now destined to score that coveted Oscar. To celebrate her biblical leading role as the titular Mary Magdalene, we’re going to celebrate her best cinematic roles. Honorable Mention: The Social Network (2010) and Her (2013) which showed that even in slight supporting roles, she made an impression. She certainly had the best monologue about nerdy, geek assholes in the former. Earning the actress her first ever Academy Award nomination, Rooney Mara took mysterious goth girl to a whole new level. Not only did she have to capture the essence of a popular book character, but she was battling against an acclaimed performance by Noomi Rapace in the Swedish version. Directed by David Fincher, this silky and bleak (yet bloody brilliant) adaptation of Stig Larsson’s book saw Mara as Lisbeth Salander, a hacker with a psychopathic nature that helps uncover a murder alongside Daniel Craig’s disgraced journalist. Though there are awful and violent scenes, Mara matches them with a ferocious character nuanced with mystery and skill. Before Steven Soderbergh “retired” he claimed that this were to be his last film. The criminally underrated thriller/drama brought interesting elements together with the cast that includes Catherine Zeta Jones, Jude Law, Channing Tatum, and, of course, Rooney Mara. The movie took apart the ethical supply of drugs to those mentally ill but implemented a twist that (somewhat exploitative) was a delicious and gripping one. The film saw Mara as a young woman struggling with depression after her husband is arrested, only to take a drug that inadvertently leads to her killing him in her sleep. The film turns into a parable on who is at fault here (ranging from the doctors to the commercialised meds) and, yet, the end will blow you away. Mara is apt for this performance and weaves through the different sides of the character with ease. 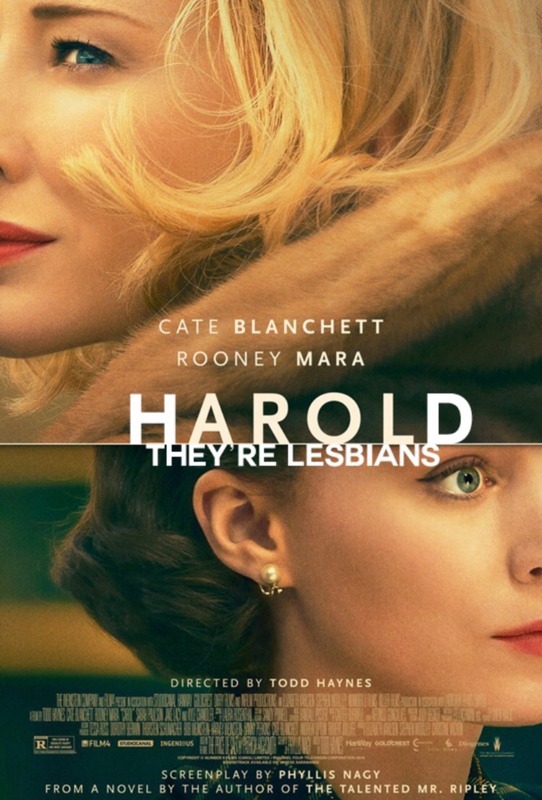 Todd Hayne’s lesbian led drama saw both it’s leads, Cate Blanchett and Rooney Mara, nominated for prestigious awards. Though there wouldn’t be any winners, this is certainly the film that most people are talking about, even to this day. The titular role is played by Blanchett who is a lonesome housewife who falls in love with shopping mall clerk Therese (Mara.) A taboo in 1950s America, they begin an elicit affair. Hayne’s drawn back and poetic piece is bound with passion exacted impeccably by the two leads. Enchanting and filled with depth as two opposite women fall desperately in love, Carol is a must for anyone and everyone. Voice acting is trickier than one might think but there’s a very good reason for why I picked this Mara outing over movies such as Ain’t Them Bodies Saints or Lion. That’s because the vocal tones of villains simple known as The Sisters still haunts my brains and mocks me. The stop-motion animation sees a young boy on an adventure to save his family when they are pursued by his grand-father and aunts. An entertaining adventure that is made more thrilling by Mara’s unforgettable work as the main antagonists. An under-seen yet vivid masterpiece from director David Lowry, A Ghost Story is a palpable depiction of time, life, and spirit. It revolves around the untimely death of a man who returns as a sheet covered ghost and stalks his wife as she grieves for him. This is a stirring film with such ingenius performances and emotional visuals. 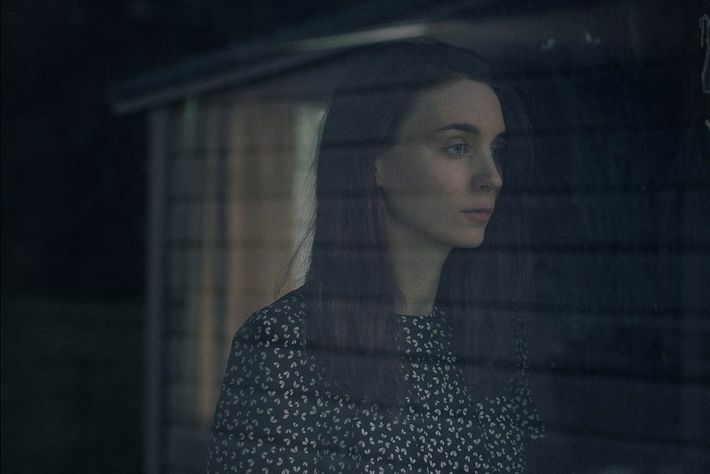 Rooney Mara has a particular scene that is certainly a test of skill and stomach. Her adroitness in acting is a mesmeric tour-de-force, steering you through a weighted arc that her character nearly silently goes through. Mary Magdalene is out now! Previous PostLooking Back…Force Majeure (2014)Next PostThe Weekend Binge: Nailed It!